I will take this opportunity to update Council members on the situation in Libya since the most recent comprehensive briefing on 12 September (S/PV.6832) and the briefing on the situation in Bani Walid they received two weeks ago from Assistant Secretary-General Zerihoun. On 23 October, Libyans celebrated the one-year anniversary of the liberation of their country. As we have highlighted in briefings to this Council over the last year, the country has moved forward in its political transformation. The July elections were a significant case in point, as was the formation of the new Government last week. But as all here are aware, many challenges remain, particularly in the area of security. Let me first turn to the formation of the new Government, which was completed on 31 October. During the briefing on 12 September, Council members were informed that the General National Congress (GNC) had voted to elect Mustafa Abushagur as Prime Minister-elect. 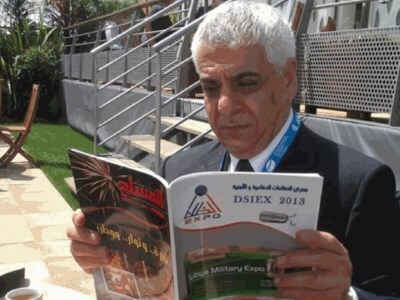 Mr. Abushagur presented Cabinet nominations on 3 October and withdrew the list on 4 October, submitting a revised "crisis Cabinet" on 7 October. The GNC voted to reject the Cabinet and called for Mr. Abushagur to step down. The GNC, mindful of the political vacuum created and the need to move quickly, initiated a process of consultations involving political blocs and independent groupings. Mr. Ali Zeidan was subsequently elected on 14 October and given two weeks to form a Government. He pledged to form a Government of national unity and make security his top priority. On 30 October, Prime Minister-elect Zeidan presented his Cabinet of three Deputy Prime Ministers, 27 Ministers and two Ministers without portfolio to the GNC. In forming that Cabinet, he sought inclusive political and regional participation. A large majority of GNC members voted for the Cabinet following the commitment of the Prime Minister that any Ministers who did not meet the standards of the Commission for Integrity and Patriotism would be promptly replaced. While it was generally well received across Libya, a small number of protestors disrupted the GNC proceedings, delaying the vote until the following day. On 1 November, I issued a statement welcoming the formation of the new Government and wishing it success in addressing the many challenges the new Libya is facing, including in building security institutions, promoting national reconciliation and upholding the rule of law. I met with Prime Minister Ali Zeidan to convey the United Nations commitment to working with the new Government, with particular emphasis on the support of the United Nations Support Mission in Libya (UNSMIL) to the security sector and transitional justice. The Prime Minister said that Libya wants its relations with the international community to be based on mutual respect and cooperation and to promote international peace and security, and expressed the wish to build constructive relations with regional States in a manner that preserves security and promotes common interests. The Prime Minister indicated that Libya's priorities will be internal affairs, security-related issues in particular, but also reconstruction and economic development. The Prime Minister affirmed that, despite the challenges, Libya is making progress, and he expressed the hope that the international community would understand the magnitude of the challenges faced by the State and support its efforts in confronting them. He welcomed the proposals for technical assistance that UNSMIL had submitted for his consideration. In the area of institution-building, the United Nations will continue to work closely with the GNC and the new Cabinet, as we did previously with the National Transitional Council and the previous Government. Workshops have been organized for the GNC to share the best practices of parliamentary systems across the globe. The United Nations also launched its second phase of a three-month training for trainers of civil society representatives on civic education, including constitution-making. With the formation of the new Government, the major task ahead for the GNC is to intensify consultations and reach decisions regarding the constitutional process, starting with the establishment of the constitutional commission. The GNC is working towards clarifying the mechanism by which members of the commission are to be selected. UNSMIL has offered the GNC's Constitutional Committee technical support on selection criteria and the subsequent working process. We shall make ourselves available to provide legal and other technical assistance, as needed and as requested by the authorities. We will continue to urge the GNC to consult widely and move swiftly on the process of drafting a constitution. On 23 October, the Council was briefed on the situation in Bani Walid, a major concern and thorny issue for the GNC and the Government over the past week. 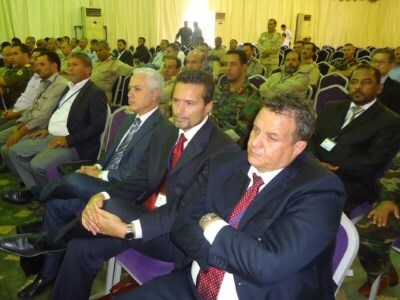 During a speech on Liberation Day, the GNC President conceded that mediation efforts had failed and that a military solution was inevitable in order to extend the State's authority to Bani Walid and arrest those acting outside of the law. 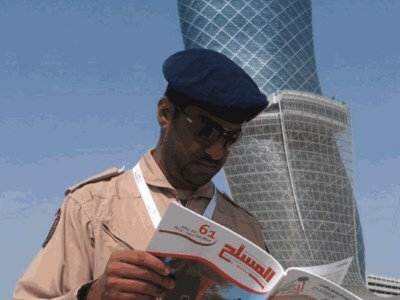 He pledged that every effort would be made to protect the civilian population. On 24 October, the authorities declared military operations in Bani Walid over and announced that the Libyan army had taken control of the city. The Government also announced plans for ensuring security, restoring public order and replacing brigades with units from the Libyan army. Additional days were required for the army to assume control amid reports of looting and the burning of some homes. In meetings with the President and the Prime Minister, I strongly conveyed the concerns of the United Nations and the international community with regard to the protection of civilians and urged the return of the displaced families in the shortest time possible while ensuring basic services. I was encouraged by their assurances that measures had been instituted to restore public order and minimize retaliatory acts against residents or their property, as well as for the regular army and police to replace the brigades. I also offered my good offices and met with Bani Walid delegations, Government officials, GNC members and members of political forces, with the aim of avoiding an exacerbation of tensions between regions and the spillover of violence to other areas. As conditions permitted, UNSMIL and the United Nations country team conducted four missions around and inside Bani Walid in order to assess the needs of the tens of thousands of internally displaced persons and to provide assistance. UNSMIL also dispatched a team to assist the regular army in undertaking munitions clearance. On 31 October, the Government began to allow families to return to Bani Walid. The fate of those detained following the cessation of fighting is of considerable gravity, particularly given Libya's unresolved detention-related issues over the past year. While the President and Prime Minister provided assurances that all detainees would be placed under the authority of the judiciary, I stressed the need to institute measures to properly account for them and ensure they were treated humanely and afforded fair trials. UNSMIL will continue to follow up on the situation of detainees. 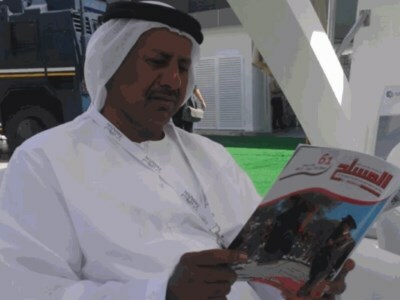 In response to allegations of looting and burning of homes and other human rights violations, the GNC established a fact-finding committee to look into the alleged events. 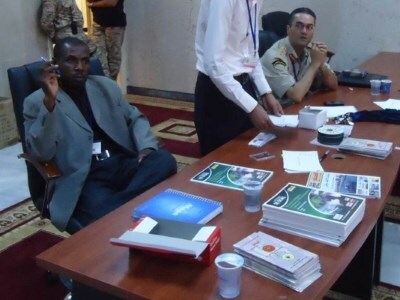 The Government also established a crisis management cell to coordinate all Government activities related to Bani Walid. Elsewhere, on 20 and 21 September, fighting broke out in southern Libya between residents of the town of Al-Shati and Tripoli-based armed brigades, amid reports of the attempted arrests of alleged wanted personnel affiliated with the former regime. The regular army brought an end to the fighting and worked with local leaders and civil society representatives to broker an agreement. The fighting left several dead and wounded. Tripoli also experienced bouts of fighting between armed brigades that left several wounded, while Benghazi and the east continued to suffer from a number of serious security incidents. Assassination attempts continued, targeting security officials, a religious leader and a brigade commander. Car bombs also targeted two Benghazi police stations. Following the attack on the United States diplomatic office in Benghazi on 11 September, in addition to official condemnation from the President and the Prime Minister, many in Benghazi and beyond expressed widespread outrage. They denounced the attack and affirmed the population's demand for the rule of law and the building of national military and security institutions. In the greatest expression of indignation, on 21 September, approximately 30,000 residents of Benghazi participated in a demonstration to save Benghazi, as they put it. Demonstrators marched on compounds held by armed brigades and demanded the building of a national army and police and the integration of fighters, as well as security and prosperity for Benghazi. They also called for brigades to evacuate buildings, for the Government to crack down on illegal ones and for the Prime Minister to appoint qualified ministers to his Cabinet. On 22 September, GNC President Mohamed Yousef El-Magariaf and the army Chief of Staff announced a series of measures that included the establishment of a joint operations room under the authority of the Chief of Staff, the dismantling of unauthorized checkpoints, patrols and brigades and their removal from public buildings. Steps were taken to implement those interim measures, including by bringing more brigades under the direct control of the Chief of Staff and appointing military officers to head them up. 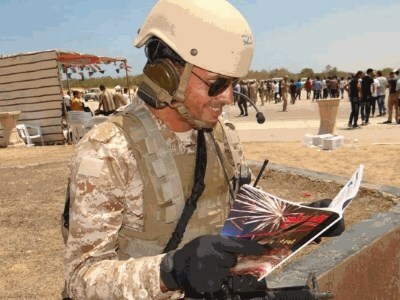 The Chief of Staff subsequently announced the deployment of a national mobile force, initially in Tripoli, to assume control over public buildings occupied by brigades, with a plan to subsequently deploy in Benghazi. As illustrated by the demonstration of 21 September, public pressure is mounting on the Government to act decisively and quickly to build and reform the State's security institutions. While that large outpouring of public support underscores the urgency of the issue, it also provides the new Government the opportunity to move swiftly and decisively in advancing security sector reform. While some progress has been made, security conditions remain precarious. The events of Bani Walid, Tripoli and Benghazi underscore the need for rapid and effective policy decisions and practical measures to be taken in the area of security sector reform. 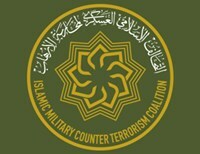 Such initiatives include the implementation of a national security coordination mechanism; interim security measures while new Libyan defence and police forces are built and supported by national intelligence; the disarmament, demobilization and reintegration of former revolutionaries; and a weapons and ammunition control programme. In that way, the responsibility and capability of maintaining security and the monopoly on the use of legitimate force is held solely by the State, in line with the expectations of the population. UNSMIL has been active in advising and assisting the Libyan authorities on those initiatives, many of which could be implemented quickly with appropriate assistance from the international community. Consultations with the army Chief of Staff have been ongoing on establishing a vision for a new Libyan defence policy and the delineation of roles and responsibilities as well as, notably, the drafting of a background document for a defence white paper. Libyan intentions are to ensure civilian oversight of the defence forces and to create a professional and apolitical force capable of securing the country's borders, protecting the population and upholding the country's Constitution and laws. 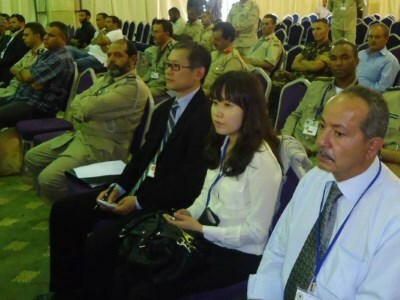 UNSMIL continues to support the Ministry of the Interior and to help coordinate international offers of assistance in the areas of police reform, with a view to developing a professional Libyan police service under the command of a uniformed chief of police. UNSMIL has established an overarching system of coordination meetings with regard to the security sector, including working groups on police and defence reform, arms and ammunition, and disarmament, demobilization and reintegration, to match various offers of international assistance with requests from the Libyan Government. Along with security sector reform, it remains just as urgent for the Libyan authorities to fully activate the judiciary so that perpetrators are held to account and the rule of law is upheld. UNSMIL continues to work on the issue of conflict-related detentions, including by urging the Ministries of Justice, Defence and the Interior to accelerate the screening of detainees and to investigate cases of mistreatment and torture. 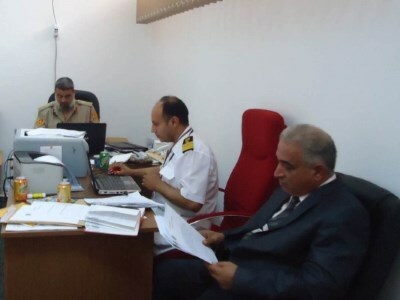 In Misrata, where many are held outside of the State's authority, national and local authorities have recently taken the initiative to institute a comprehensive screening process. This is a step forward, and UNSMIL stands ready to assist in its implementation. Little progress, however, has been made in transferring detention facilities from brigades to the Ministry of Justice. While many of the facilities are nominally under the control of local military councils or security committees linked to the Ministry of Defence or Justice, some remain outside the purview of State organs. UNSMIL continues to raise the issue, to visit places of detention and to receive information on death in custody and allegations of torture of detainees. UNSMIL continues to engage with interlocutors on programmes such as training the judicial police and advising the General Prosecutor to develop an overall strategy for prosecuting former regime figures and others who have committed serious human rights violations. UNSMIL is also urging the GNC and the Government to pursue a comprehensive transitional justice strategy, including by implementing a dynamic truth-seeking process. In addition to the political, security and rule of law areas, last month UNSMIL and the Government finalized the Strategic Framework 2013-2014, which provides a coherent United Nations country team response in the transition period and a foundation to adapt to evolving Libyan needs. That initiative will be followed up with the new Cabinet. I would like to recognize once again the progress achieved over the past year towards stabilizing a country bereft of democracy, institutions, human rights and the rule of law over the past 42 years. The problems faced should not be underestimated but are not insurmountable. Building a democratic State is a cumulative process that needs time and patience, but it necessitates, first and foremost, a sustained, coherent and determined effort by the Government. One year since the liberation, the people of Libya are demanding more of their elected authorities. That is a sign of a vibrant democratic life. UNSMIL has spent the past year working closely with the Government, civil society and the international community to ensure that no effort is spared in helping achieve the objective of democratic State-building. I look forward to continuing our engagement with all the determination and perseverance it deserves.